Hi! 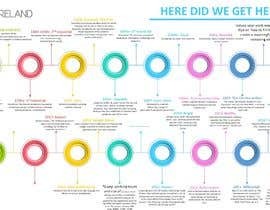 I need a timeline/infographic redesigned to incorporate my chosen colour palette. 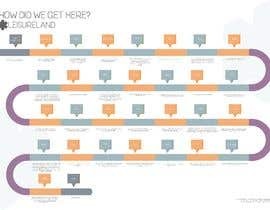 I have attached the one I created which is pretty boring! 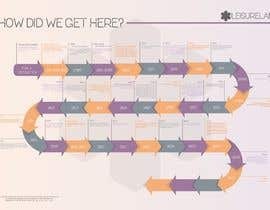 The way you design the timeline is up to you, although it should be high quality so it can be printed to A0 or more! 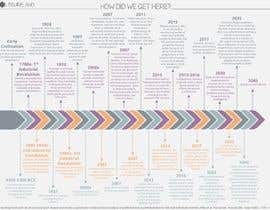 The timeline must include the events that I will share with you in a word document and a style guide. 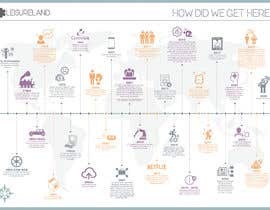 Some background into this timeline is that it is for an experiential artwork based around ‘the future of work’. 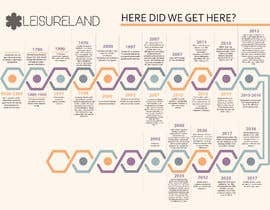 The timeline visually represents the events that could lead to this post-work society: Leisureland. 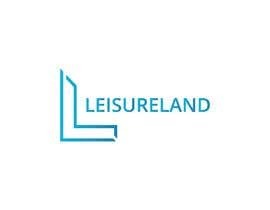 I will also include the Leisureland logo for you to incorporate into the timeline. 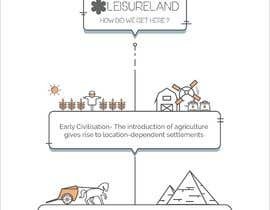 The colour palette is based on the 3 ‘leisure-types’ that people will be sorted into in this future society. 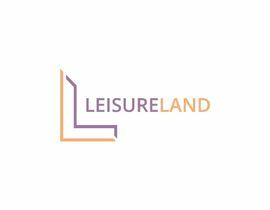 I will also include the logos for each leisure-type IF you wish to include these in the timeline as well. Hope you have fun with this one, it’s not too serious! Keen to see what you come up with! Hello. Contest Holder. I am currently working on your project. Please do provide your Logo ( Vector ) Not images, it will be very helpful. Thank you much !